Dar Guéliz appartments is situated in the heart of Guéliz, our apartments with a soothing comfort are sure to surprise you. Of a Berber and Arab-Andalusian inspiration, the interiors are designed in a modern style with Moroccan touches such as the Amazigh carpets, hand-embroidered cushions. 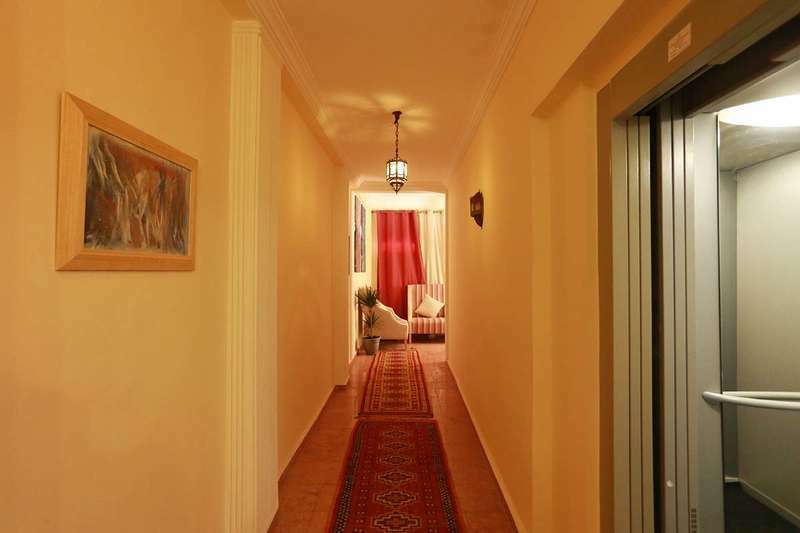 With its excellent location Dar Gueliz allows you to visit Marrakech from different angles. 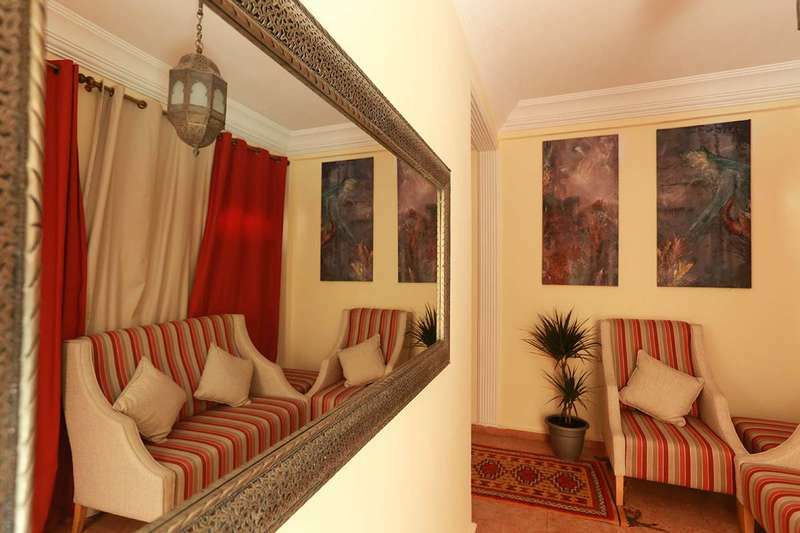 Thanks to its proximity to the so-called modern city where sit the shops, restaurants and the most exclusive cafes in the city and the medina of Marrakech connected by the great Mohamed V Avenue. Dar Guéliz is situaed on the 17 Mauritanie Street, Located in 2 minutes from Edden Carré Mall. Dar Gueliz can orgnize an airport transfert for you, just notify us during your reservation. wa are situaed in a strategic location, Marrakech railway station is at 4 minutes drive and 9 minutes walk the Marrakech Menara Airportis at 15 minutes drive. - The occupants of the apartment must register at reception before access to housing. - Check in is from 14h and the Check out at noon. - Out of respect to Moroccan legislation, the marriage certificate is required for couples in which one member is Moroccan citizen. - For your comfort, the interior of the apartment is non-smoking. - Rates per night are subject to a tariff rule dependent seasons. Discounts are available for different events and seasons. Negotiations are not in force.